MINISTOP is a 24-hour convenience store chain and is a franchise of Ministop Co. Ltd., one of the largest convenience store chains in Japan. The store carries a wide assortment of merchandise and extensive selection of ready-to-eat products. MINISTOP Philippines continues to develop products that cater to the Filipino palate in terms of variety and affordability,while putting a premium on quality and freshness. 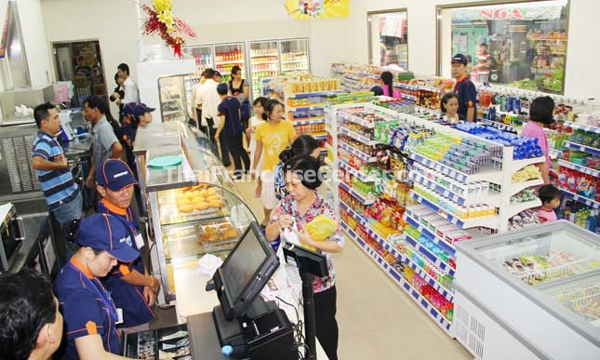 MINISTOP sets high standards of quality for all its products and strives to maintain its diverse product line to address varying consumer preferences. MINISTOP values its commitment to a customer focused management, giving it a competitive edge in the growing convenience store industry in the Philippines.